Next-generation network analytics driven by artificial intelligence and machine learning promise to revolutionize conventional infrastructure management models, simplifying operations, reducing costs, and providing fresh insights. Yet, as with many new technologies, AI-fueled analytics can only deliver its promised benefits if applied correctly to the proper problems. AI can be trained to pinpoint network failures and other shortcomings and bottlenecks, sometimes even before they happen. "It can diagnose the root cause of poor quality network streams to find if the problem is in the service provider's network, the backbone network or your ISP's network," said Shervin Shirmohammadi, a professor in the School of Electrical Engineering and Computer Science at the University of Ottawa, and an IEEE Fellow. "It can also solve network congestion (issues), provide bandwidth and delay estimation for better video or gaming experience, provide fair bandwidth allocation to users or within cloud data centers, fix insufficient network utilization and, in general, achieve a higher network performance and a happier customer," he added. Early AI-based network analytics tools were limited to collecting time-series data from the network and using anomaly detection -- a specific class of ML techniques -- to identify deviation from normal behavior. "However, more advanced and specialized ML/AI algorithms can be leveraged if the networking elements that are monitored are providing additional monitoring capabilities," stated Jay Akin, CEO of Mushroom Networks, a builder of network routers and appliances. "This more advanced AI approach becomes even more intriguing as the AI algorithms move from detection-only to detect-and-act, whereby the AI can take actions in real-time on the network as a result of the AI analysis," he noted. Prior to AI's arrival, network providers typically used some sort of packet filtering, such as deep-packet inspection (DPI), to dissect individual network packets and gather detailed information that could help them find and fix network problems. It was an inefficient approach, however. "No single entity had access to the entire networking path from a service provider to the user, limiting what could be understood from the DPI and what could be done about the network problem," Shirmohammadi explained. Also, due to expanding packet encryption, DPI is now increasingly unable to read the necessary information from many packets, rendering it nearly useless, he added. AI can be a game changer, Shirmohammadi said. "It can be trained to pinpoint the network problem using metrics easily collected across multiple points through the delivery path," he said. "By performing feature construction and data classification on those metrics, AI can detect problems with 80% accuracy, a figure that is bound to improve in the near future." Additionally, AI can do the job without any need for DPI or even HTTP traffic analysis, making it a highly suitable solution for encrypted packets passing through multi-operator networks. AI also enables the automation of certain detection, analysis and remediation actions, therefore enabling IT managers to shift their valuable time to less mundane tasks. 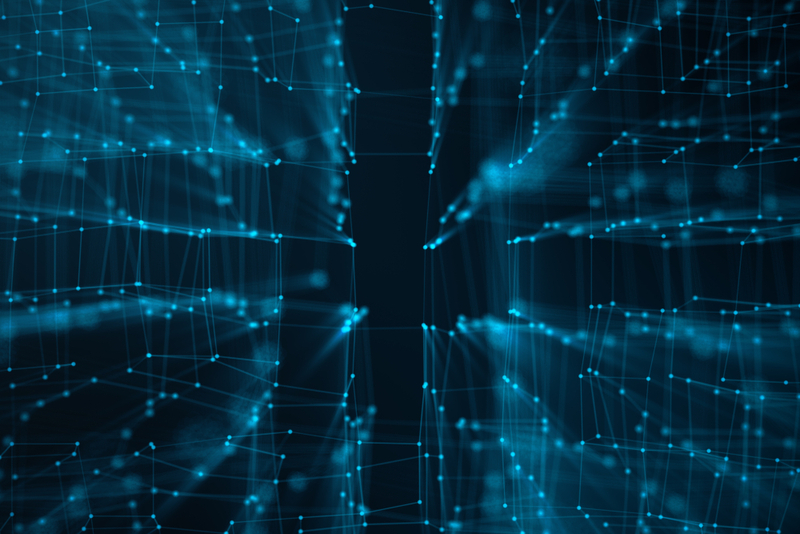 "AI-based automation in networks will change the profile of network problems and their impact on organizations," Akin said. "Today's urgent network problems can be, in some cases, mitigated and completely resolved; in some other cases, converted into less-urgent support tickets." AI also can help network analysts to identify and resolve root causes much faster, vendors claim. Like any other AI-driven tool, network analytics it is only as good as its training. "Network operators must ensure they train their AI system with the correct type and amount of data, and with the right machine learning algorithm and approach for their specific application," Shirmohammadi said. "We are seeing a transition in network IT from traditional configured boxes to API programming," noted Bob Friday, CTO and co-founder of Mist Systems. "While network IT staff need to master new skill sets in order to maintain and nurture AI-powered networks, trust between machine and man must also be developed as the new technology is entrusted with decision-making that affects customers." There may be some false positives during the early days of the AI use, Akin acknowledged. "However, if the IT manager is empowered in terms of how much control he/she can enforce over the AI actions, (organizations can) provide the value of automation without taking away the control that IT managers have over the network." "There is no doubt that AI, specifically machine learning, will disrupt the network operations and management business," Shirmohammadi said. "With the advent of deep learning, AI will soon be able to operate very large networks efficiently and dynamically."